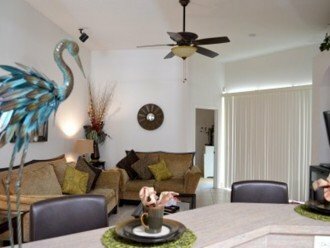 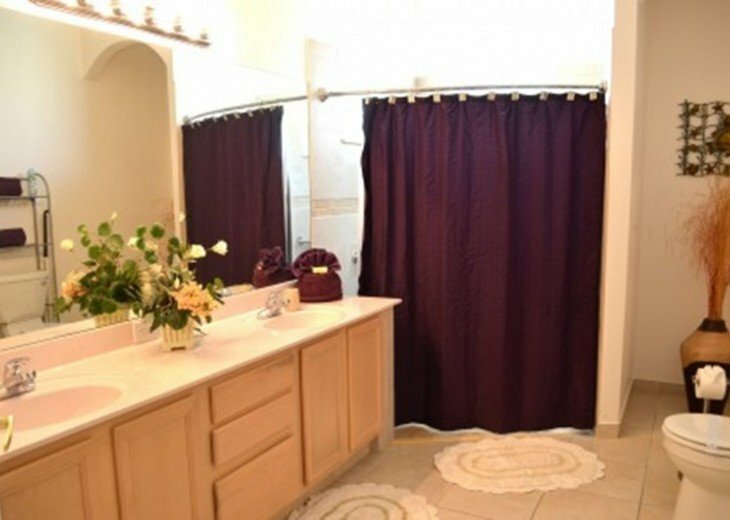 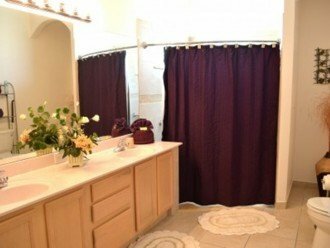 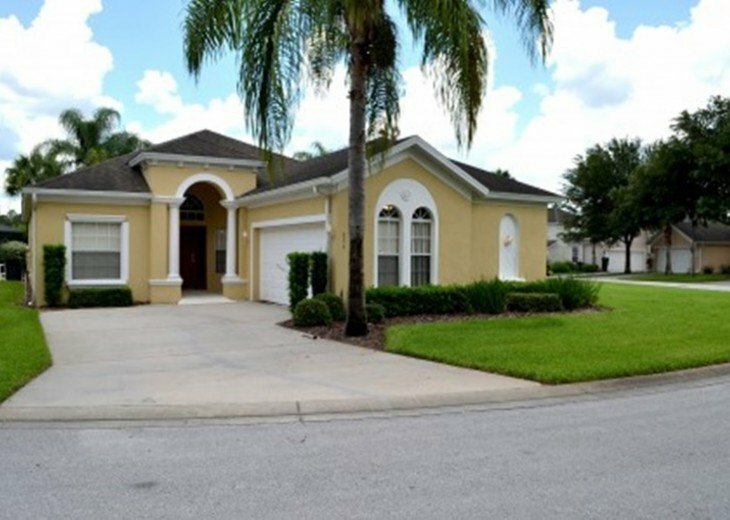 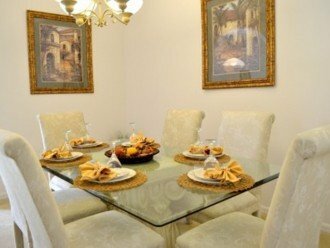 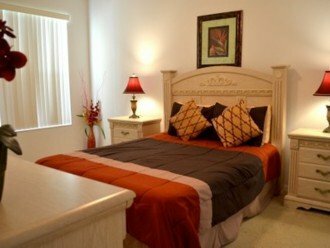 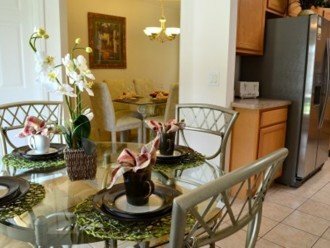 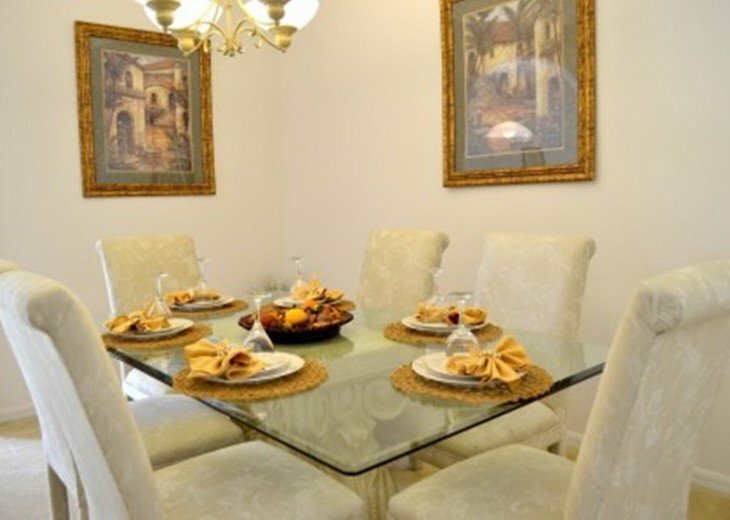 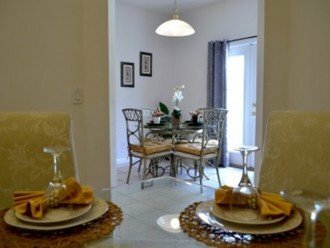 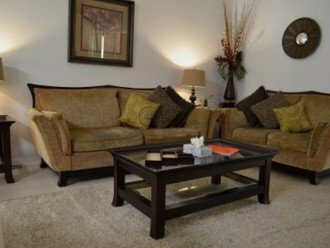 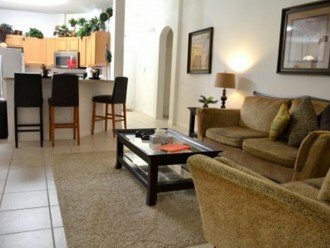 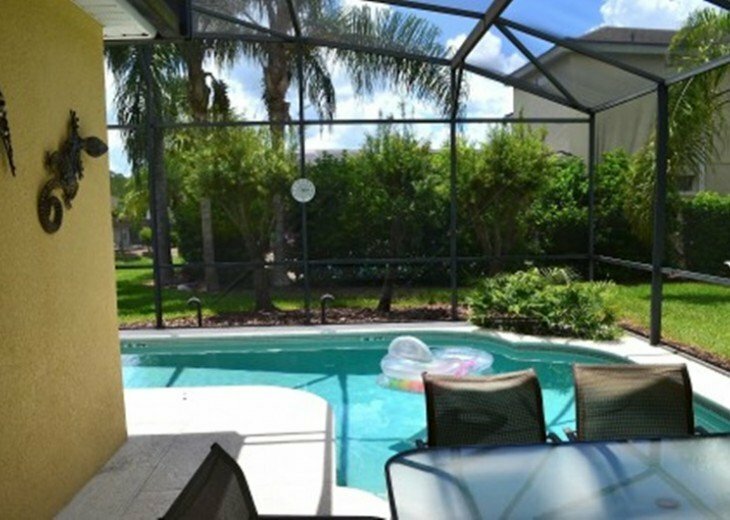 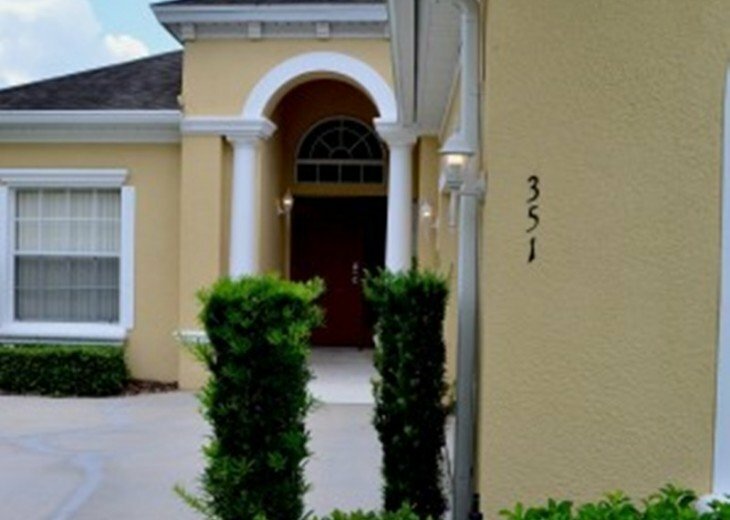 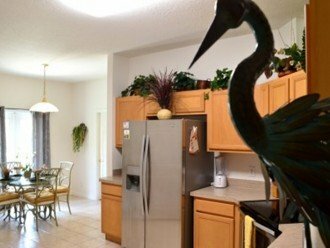 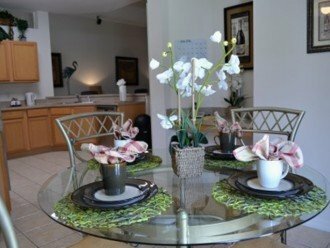 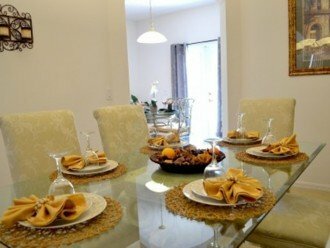 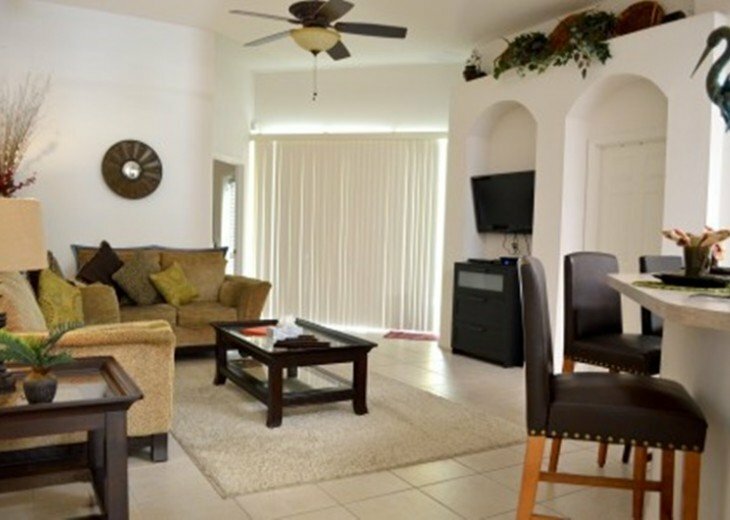 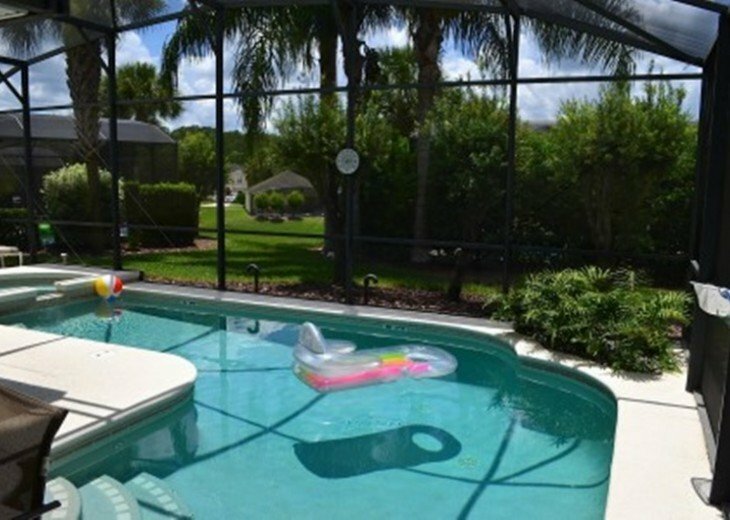 Welcome to our Luxurious Villa situated minutes from Disney and Golf Courses with all the comfort and space of a home away from home! 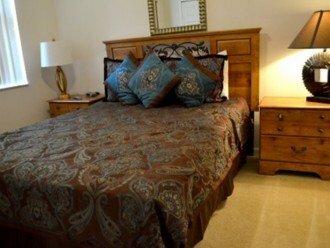 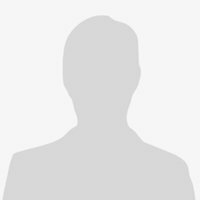 Nightly Rate Is Inclusive Tax! 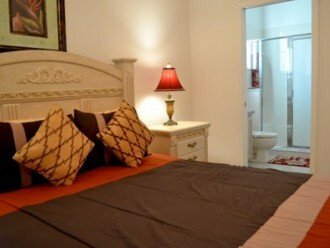 Calabay Park is a Mediterranean style resort in a beautifully well-kept neighbourhood and has its own private pool and Jacuzzi. 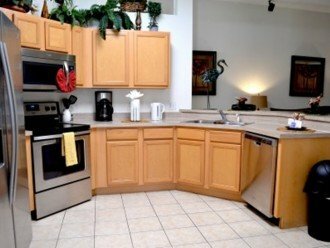 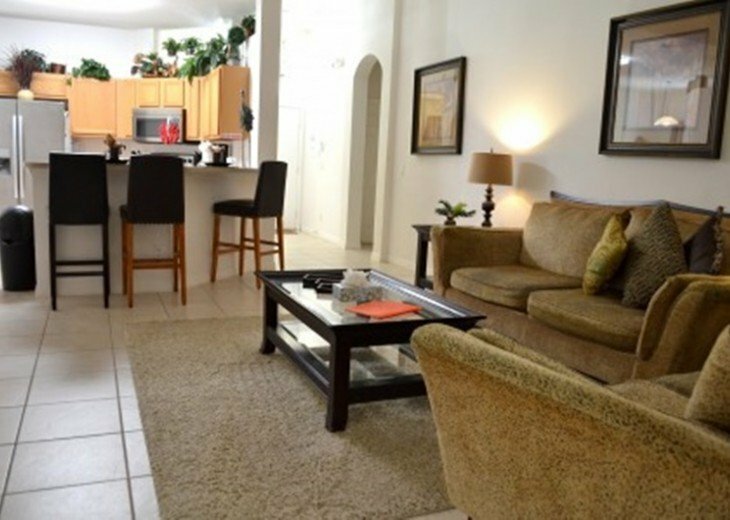 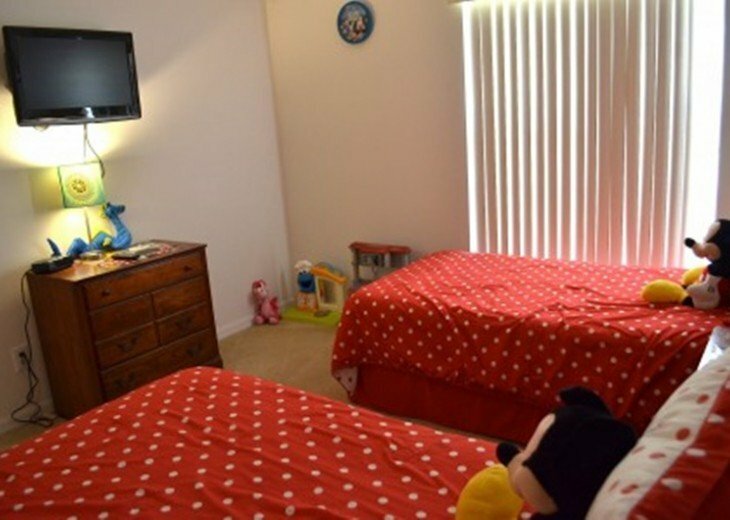 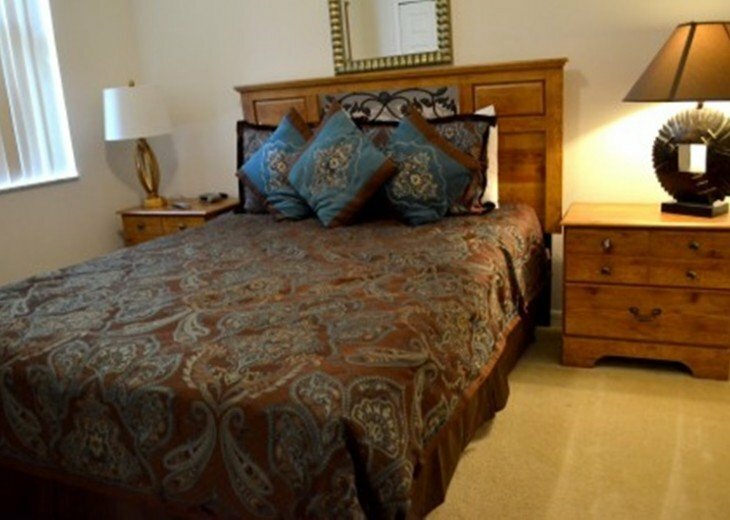 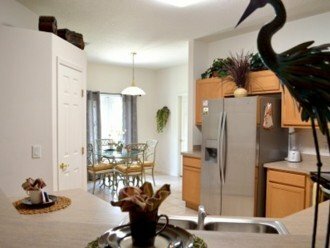 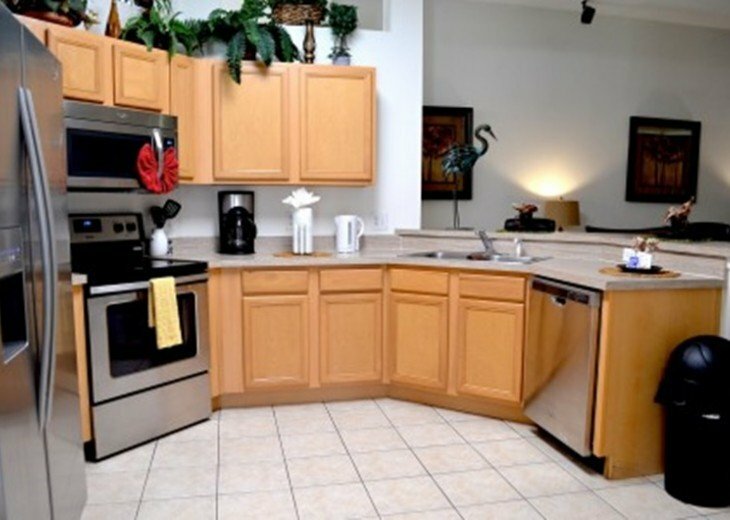 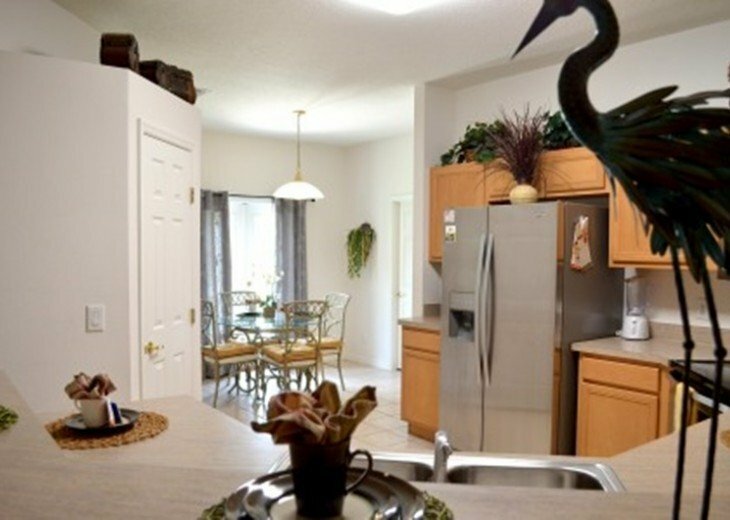 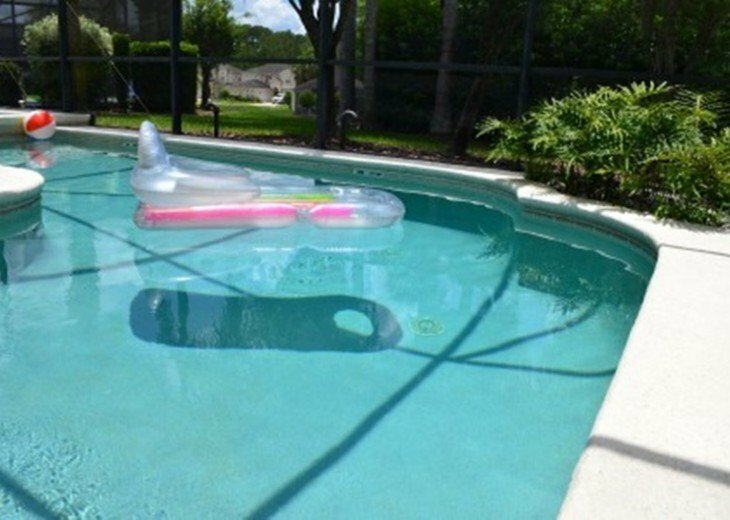 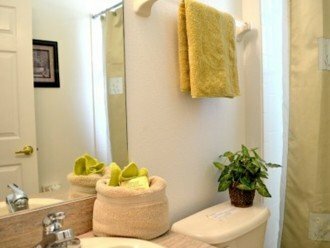 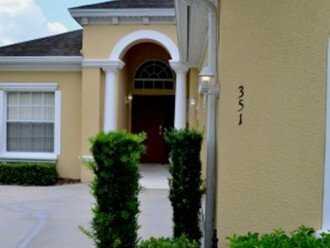 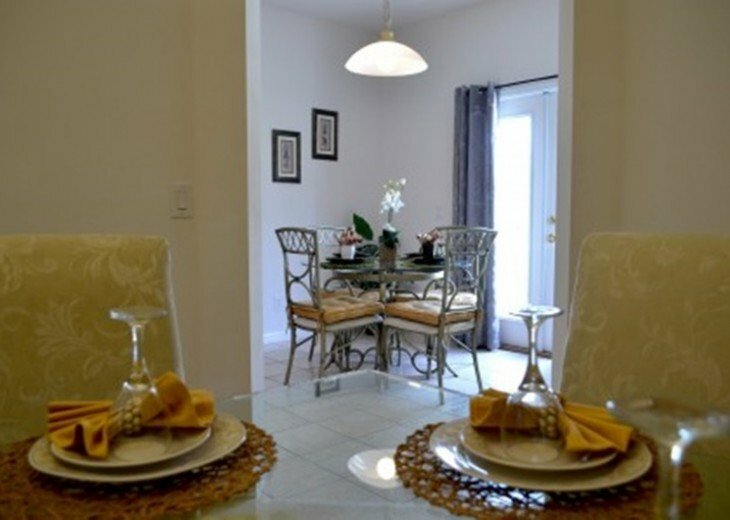 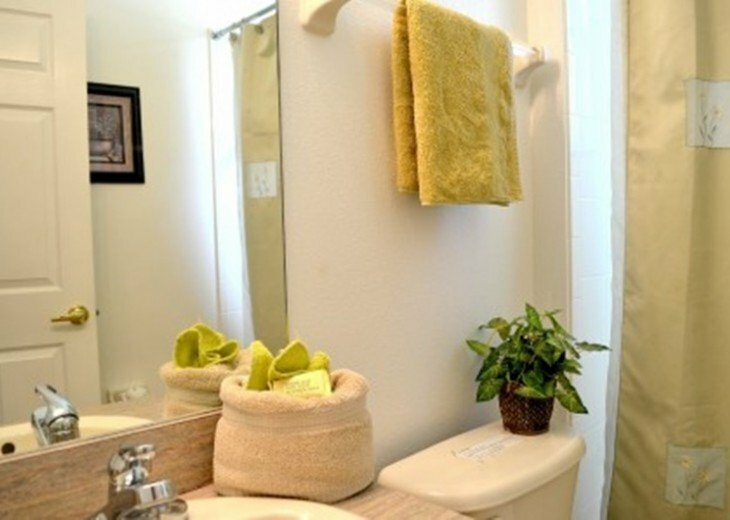 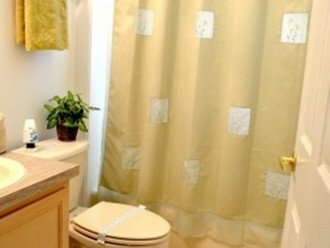 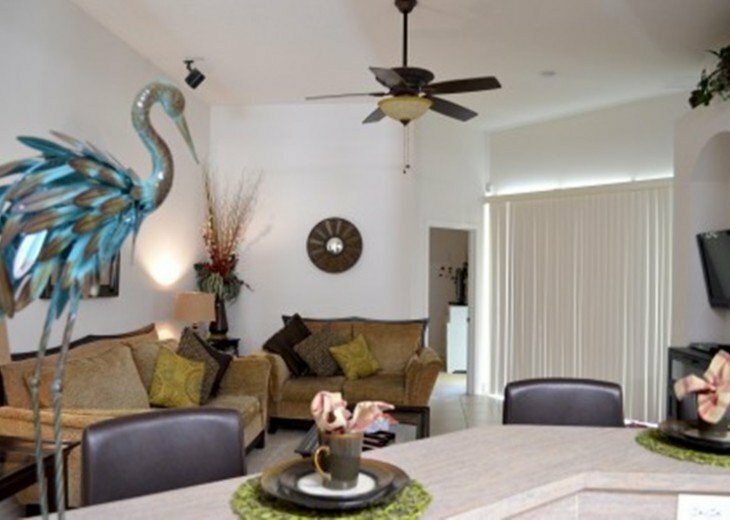 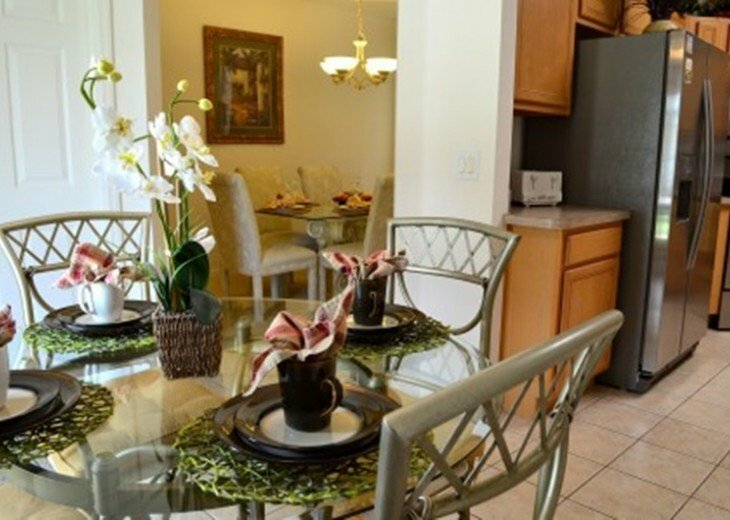 Our well-appointed, wheelchair accessible home is the perfect retreat for your next Florida vacation and is conveniently located within reach of all the fun and excitement that Florida has to offer. 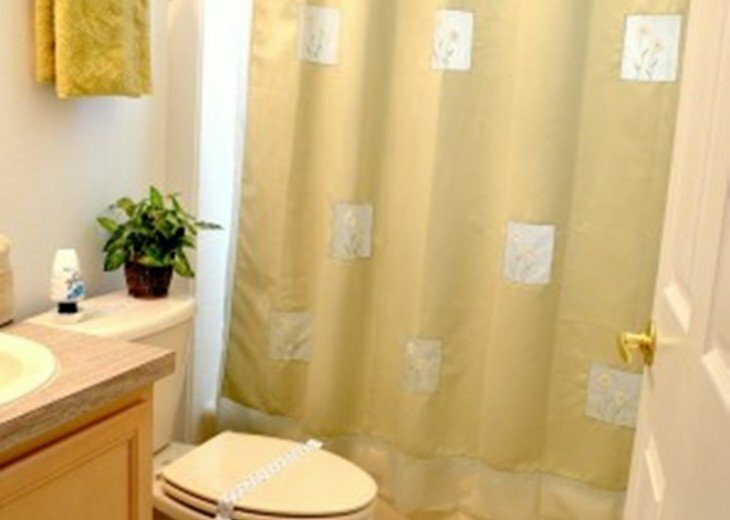 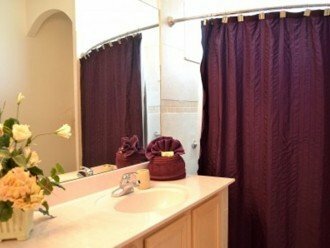 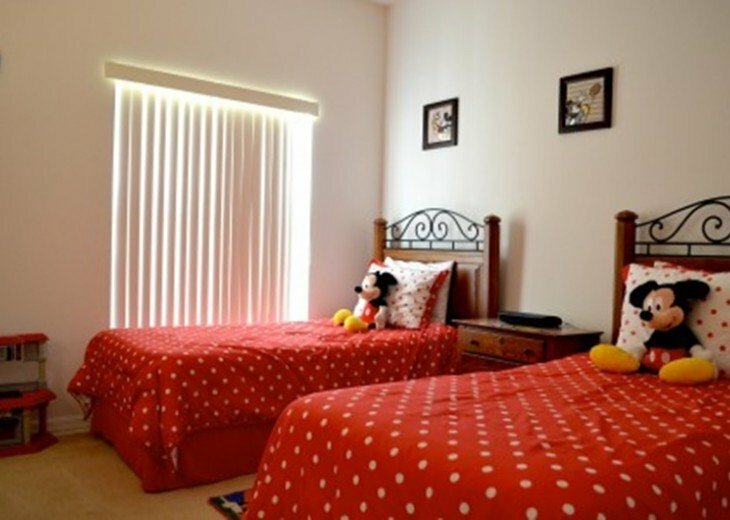 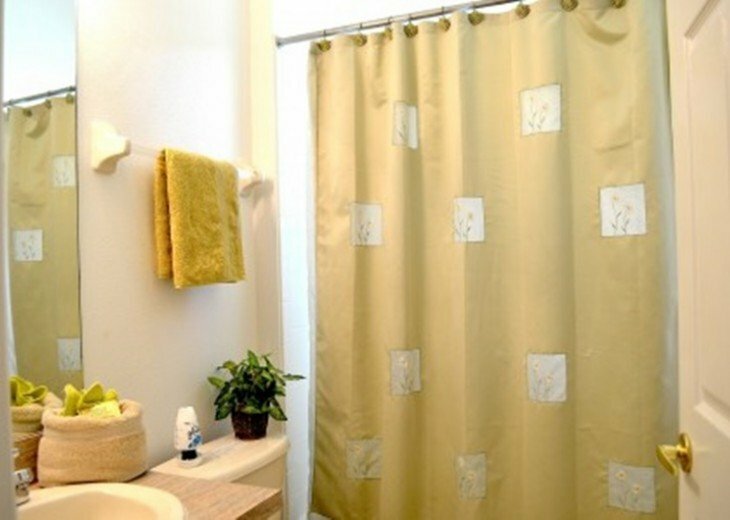 You can relax after a day at Disney or even in between trips. 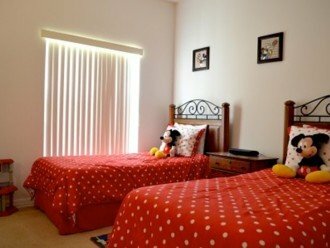 It’s minutes from Disney and close to many other attractions so you’re close enough to take a break before returning to the parks. 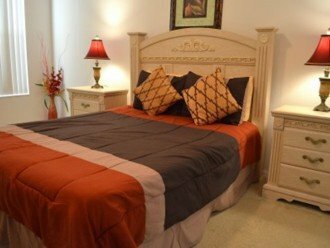 Some of the unique benefits that you will enjoy while staying at our property is spacious living, beautifully furnished, two full master suites, which offer private pool access from both, as well as a twin-bedded room and a queen guest room.You will enjoy flat screen cable TV's throughout the home, large fully equipped kitchen, breakfast nook, formal dining room, as well as a hot tub. 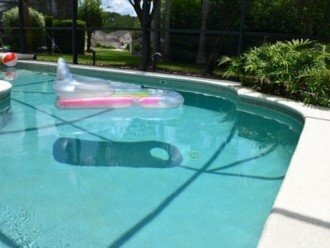 The swimming pool is also wheelchair accessible. 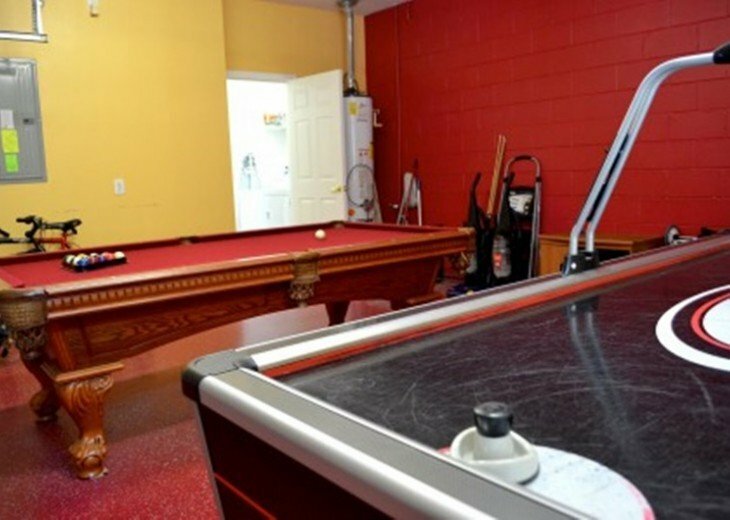 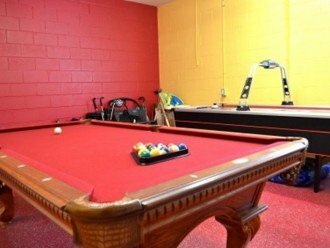 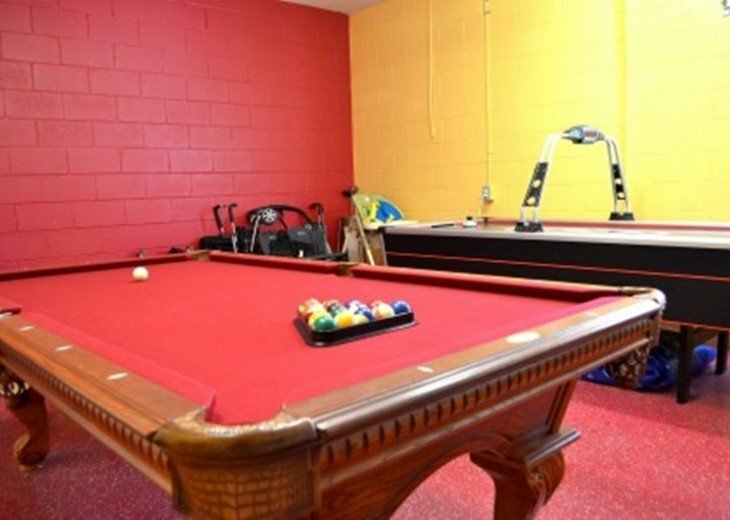 Complimentary Wi-Fi Internet and games room with full size pool table and air hockey table. 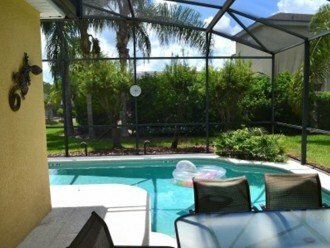 About Us:My husband and I (Ralph and Maria) love vacationing in Florida for all the obvious reasons, sun, fun and a variety of things to do! We bought our beautiful villa at prestigious Calabay Parc so we can spend more time enjoying Florida with family and friends. 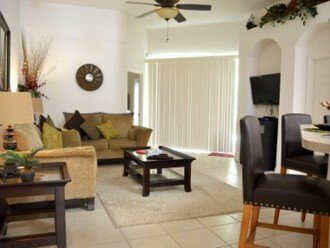 We have taken pride in preparing our villa for our guests and our villa is presented to the highest standard. 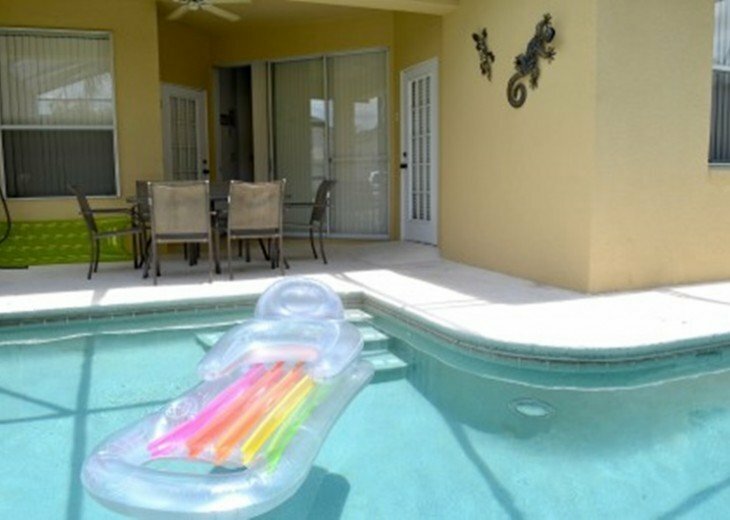 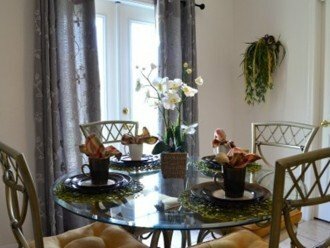 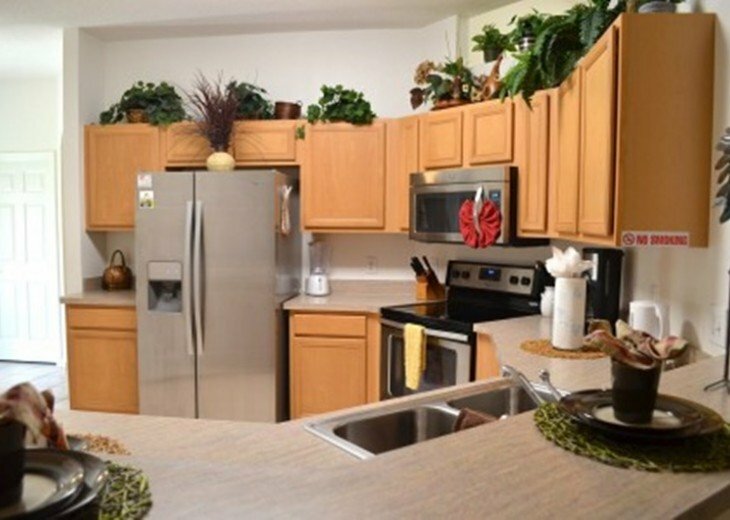 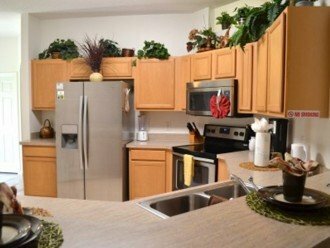 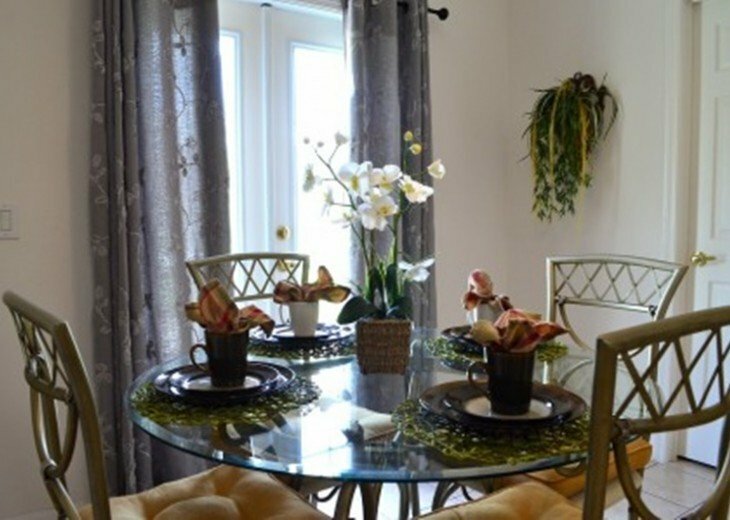 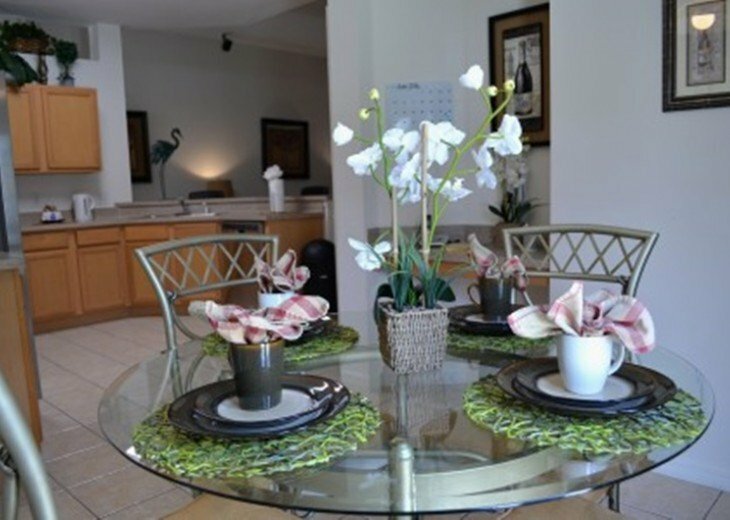 We hope you enjoy our home in the sun and fun! 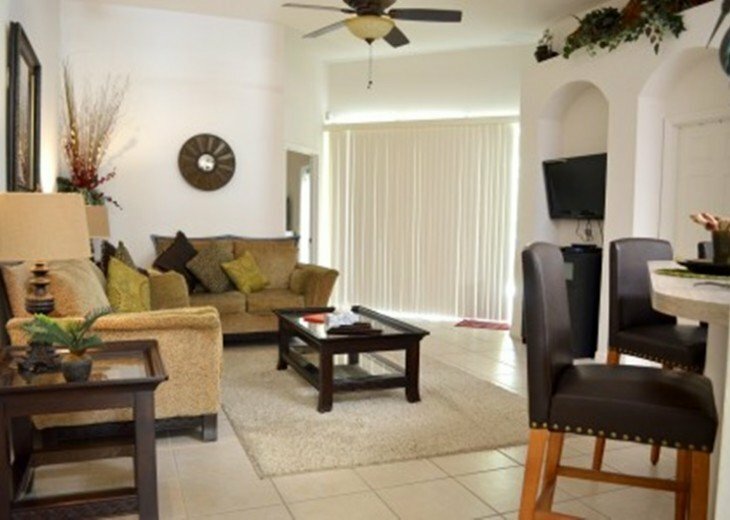 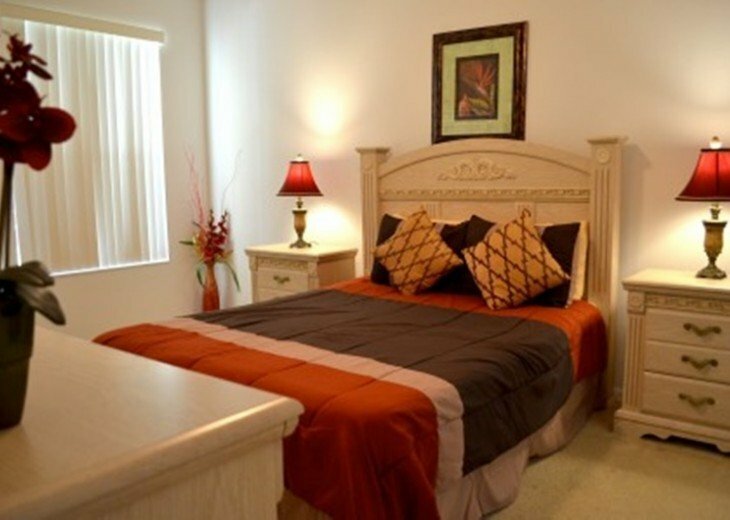 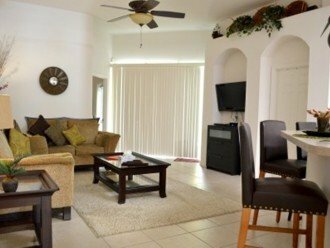 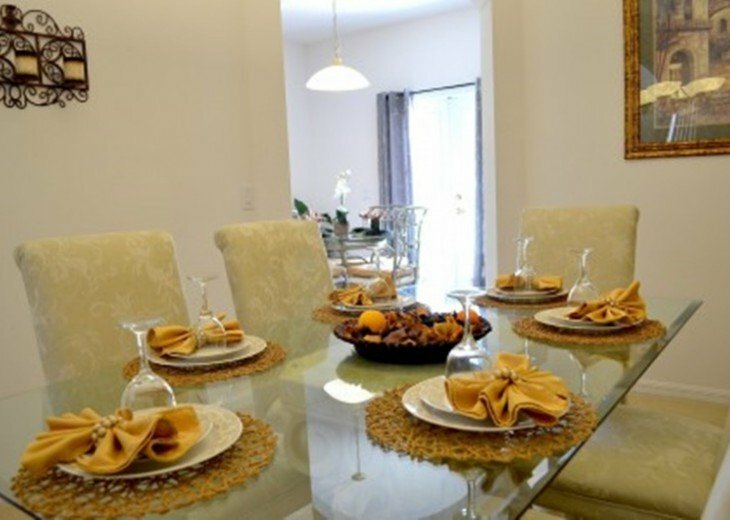 Our villa is perfect for a family vacation between the Orange Groves!